Opening hours: Tourist precinct opening hours are Mon–Thu 8am-7pm, Fri 8am-9pm, Sat 8am-5pm, Sun 12pm-6pm. Suburban opening hours Mon-Wed 8am-6pm, Thu 8am-9pm, Fri 8am-6pm, Sat 8am-5pm, Sun closed. The city center is a sight itself, with its fascinating mix of skyscrapers and historic buildings. Apart from the obvious beauty of the city, there is an impressive cultural aspect that will keep you busy, and don’t miss out on the nightlife! The Art Gallery of Western Australia was founded in 1895 and contains a mix of indigenous, historical and contemporary works of art. This is your chance to experience historic and contemporary Australian art through stimulating exhibitions. The Swan Valley in Western Australia (WA) is a fascinating mix of award-winning wineries, tasty food, impressive art and interesting events, all of taking place in beautiful scenery just 25 minutes away from Perth’s city centre. The best way to experience the region is to follow the scenic route "Swan Valley Food and Winde Trail". 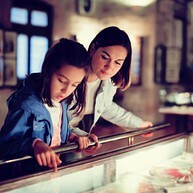 Discover fine wineries, distilleries, breweries, cafés and art. 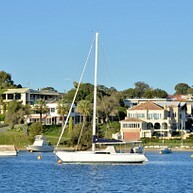 The Swan River in Perth is ideal for a relaxing or adventurous boat trip. This is something that hasn’t escaped anybody’s attention, and there are many tour operators offering various trips on water. One of these are Captain Cook Cruises, they have a range of river cruise options and tours, such as cruising past the mansions in Millionaire’s Row or into the peaceful Swan Valley. Perth’s main attraction is located where Perth meets the Swan River. The Clock Tower, made of copper and glass, contains eighteen bells and is surrounded by a laid trail of ceramic tiles. An island paradise with superb snorkeling only 25 minutes from Perth. The island is 11 kilometres long and has been a popular holiday destination the last 50 years. 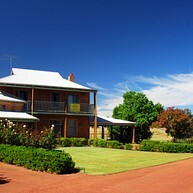 Built in the 1850's this is one of Western Australia’s premier cultural sites. In 2010 Fremantle Prison became included on the World Heritage list, as the first building in Western Australia. The museum was founded in 1976 and houses about 11,500 objects and more than 35.000 photographs, as well as an extensive collection of Aboriginal art and cultural relics. 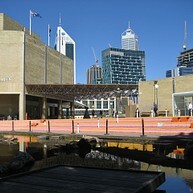 Free guided city walking tours are provided and it includes all the historic sites of central Perth. This is a great way to learn about the history and culture of Perth. All tours are led by i-City Volunteer Hosts. Contemporary Australian art exhibitions and a range of art based events, housed in iconic heritage buildings that for 40 years served as the Perth Boys’ and Girls’ School. 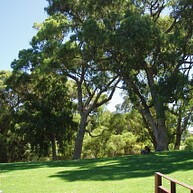 The Margaret River region is located 270 km from Perth and has become a well known tourist destination. 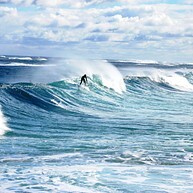 The area has a diverse variety of activities such as surfing, wine tasting and cultural events. 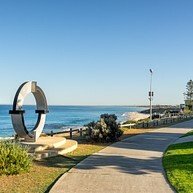 Enjoy a relaxing day at the picturesque beach Cottesloe which is a great place to walk on the beach or sunbath. But beware this is one of the busiest beaches in Western Australia. When you are feeling hungry or thirsty, do not worry there are plenty of cafés and bars around the area. 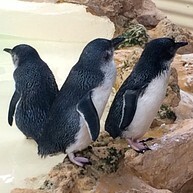 Adventure World is a great amusement park to bring your family. 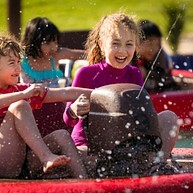 With 7 man-made lakes, thrilling rides, wild water action, waterslides, water jet guns, smoking volcanos and unique attractions you will find yourself busy at this park. There are restaurants around the area or you can bring your own food. The Nostalgia Box Museum in Perth was founded in 2015 by Jessie Yeoh and is the first interactive video game console museum in Australia. It allows visitors to try out different consoles and games. In order to avoid long waiting times, you can book your tickets online in advance.